Joyce + George were married at one of the most unique wedding venues in Chicago – Artifact Events! This brick and timber loft is located in the Ravenswood neighborhood and has so much character with its unique furnishings from Architectural Artifacts! Joyce has a discerning eye for detail and I was honored to their wedding photographer! 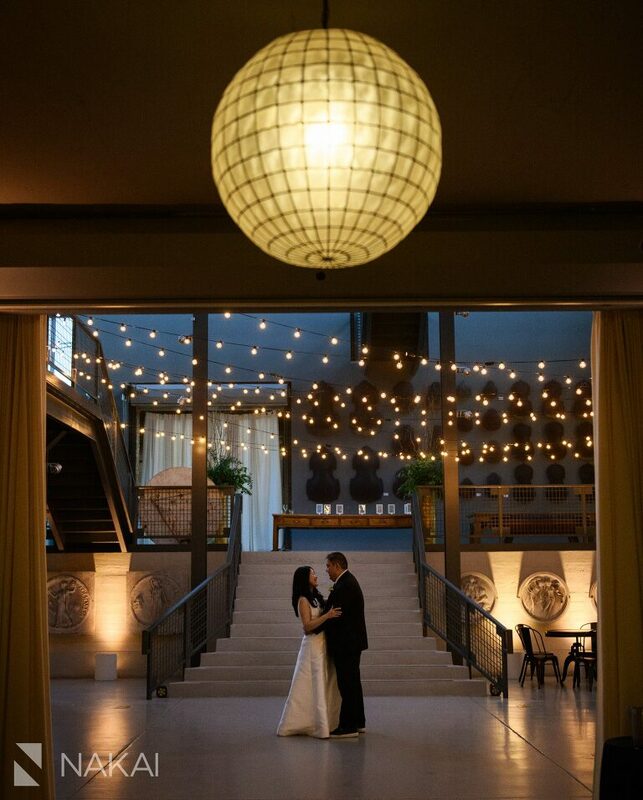 It was a Chicago wedding…one where the dance floor opened with a traditional Okinawan wedding dance and then went into a traditional Greek wedding dance! It was so great to see these cultures come together at Artifact Events! 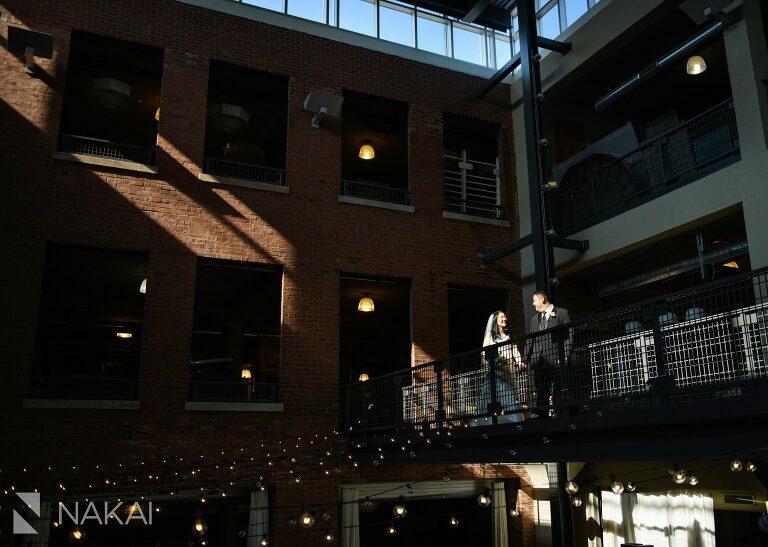 As you can see from this first photo, Artifact Events has a beautiful open atrium! This next photo was used by Artifact Event’s social media team and featured on their Instagram feed! I love the string lights, the circular pendant light and the symmetry! Photographer’s tip: Step back and see the bigger picture! As a wedding photographer, I enjoy finding unique angles and reflections! Loved this piece to frame her wedding dress! Love the clean and modern look of her invitations! Those cranes were part of their 1000 cranes presented at the reception! Each wedding story is different, these two have known each other for a long time and I loved the emotions showing through on their special day! This photo took a little bit of coordination, but it was a fun capture! I enjoyed seeing George make Joyce laugh and smile throughout the day! As a wedding photographer, I love capturing these moments at the altar, so family and friends can see all the emotions that took place during the ceremony! These hand crafted bamboo vases were made in Japan, in an area where Joyce’s family is from! Congrats Joyce + George! It was a beautiful ceremony and you have some amazing photos throughout Artifact Events + Architectural Artifacts! Can’t wait to show you more! « Loews O’hare Wedding Photos // Francesca + Derek!